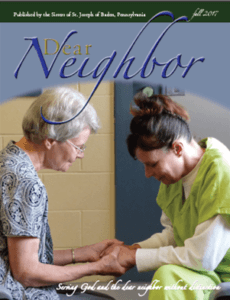 The Dear Neighbor is printed twice a year to bring you the good news about our Sisters and the neighbors they serve. 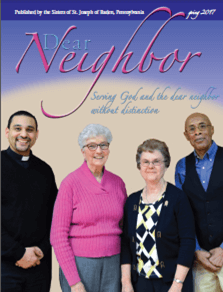 Read the Winter 2019 issue below or click to view a past issue. 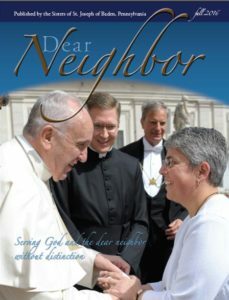 If you would like to receive our Dear Neighbor magazine, please join our mailing list. You will need the free program Adobe Acrobat Reader to open PDF files on this page. Get Acrobat here.